First and foremost, you will want to make sure that you actually don’t’ try to go against them directly. Don’t try to steal pots — let good poker theory prevail here. You don’t want to try to bluff a microlimits player because all they’re going to do is be a calling station. They’ll call amount anything if they feel there’s a chance they are going to win, so why even put yourself through that? Don’t let yourself fall into the trap of being emotional. They are just poker players that don’t know any better. Let them crash and burn — you’re a player that believes in solid poker theory. You’re a player that doesn’t take the game emotionally. The moment that you start getting worked up about the world of poker…well…that’s when they get you. That’s when you begin losing hands where you actually had a chance. When your concentration is messed up, it can feel like absolutely everything is going to be a problem, and that’s not a good way to play poker. You might as well go ahead and give up before you even tackle microlimits. Make sure that you quiet your inner teacher when it comes to the microlimits players. We know that there is social elements to poker, but sometimes you just need to let fish be fish — hunt them, don’t teach them. Yeah, that sounds cruel but this is poker, not a scouting trip. There’s no need to hold hands around the fire and sing songs together. You’re competing for real money, so helping the fish is like helping your enemy — it’s just not done. You don’t reach out and help someone that would just take the information and use it to take you down. That wouldn’t make any sense at all! When it comes to actual playing strategy, don’t be afraid to actually play tight. Bet when you have something good, fold when you don’t have anything. Also, you will want to be careful of players that are raising pre flop. They are not usually bluffing you. It’s tempting to assume that they are, but this assumption is going to end up getting you in a world of hurt — and causing you to lose your chips as well, let’s not forget. As you can see, you can definitely break into microlimits and do some damage. Since the stakes are so small, remember that you’re going to be playing a lot hands – and we definitely mean a lot of hands. The last thing that you want to do is try to want big changes when small steps are really the best way to go. Why not make sure that you can get started today? Want to play casino games? Learn poker terms? Become the next WSOP Champ? You’re not alone. In recent years, casino and poker games have become popular international pastimes, gaining fans worldwide thanks to everyday players turned celebrities like Chris Moneymaker and the proliferation of internet gaming. If you’re looking for a casino online, you’ve come to the right place. Although anyone can learn how to play video poker, you have to play like the pros in order to become one of the pros. Here are five tips to get you started on the path towards more wins and bigger payouts. 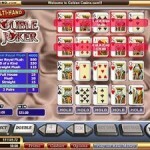 Some Internet-based casinos offer players an Auto Hold option. 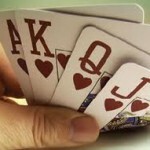 This software will hold onto the best cards in your hand while playing the hand for you. But sometimes this Auto Hold does not recognize when players are holding out for straights or royal flushes so it will keep the high cards to try to obtain a pair. Bottom line is that you, and not the software, must play the cards. Video poker is not a chance-only gambling game; there is some skill involved in winning. 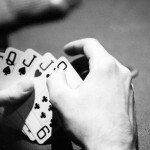 The manner in which you play your hands should depend upon how often you wish to win. 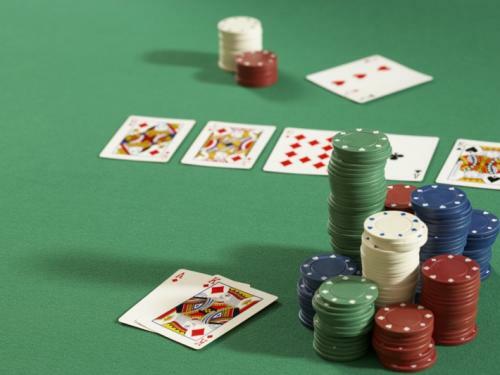 If you go for more pairs, you will get frequent, small payouts but if you go for more straights and royal flushes, you will get infrequent, big payouts. For instance, if a video poker machine will allow a minimum of one coin and a maximum of three coins per one play, invest all three coins at one time. You will regret not utilizing the maximum amount of coins if you happen to win a major hand. When you play the biggest number of coins possible, you will earn the largest payout possible; the opposite is also true. So if you play, always play big. Progressive jackpots and bonus rounds are both excellent and quick ways of pulling in additional money. With bonus rounds, you can make a bigger wager in hopes of doubling or tripling your money. And in the case of progressive jackpots, you can increase the winning payout with each played hand on the machine; the person who happens to hit the right hand will get the jackpot. Regardless of which machine you play, they are both fun and require you to use the maximum amount of coins. Taking your time is important, especially when playing a multi-hand poker machine. These machines do not run on a limited time per round so rushing will not increase your chances of getting better results or hitting better hands. The only results you will get by rushing is more losses and reckless play. So relax, do not rush and utilize your game strategy. Following this advice will not only prolong your play time but also allow the chance to win more money per hand, giving you the best results. And do not forget to practice because playing practice games will fine-tune your strategies and reap you the benefits of slower play. 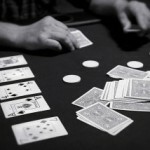 As there are a lot of poker players in the world, there are a lot of myths surrounding this game. If you want to know and learn more about these myths, you should read this article below as you will understand a lot of the myths and their true side of the story. 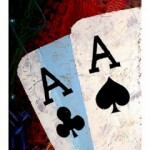 As there are a lot of poker forums and chat rooms, many people search for information on them. Unfortunately, these chat rooms and forums are full of people who have not played enough poker in order to form their opinion on the game. 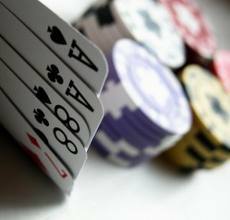 One of the popular myths on forums and chat rooms is that you should bluff a lot if you want to win. This is why many people bluff their way out of tournaments both online and offline. Bluffs should be seen only when huge pots are involved and you should consider the bluff as the last resort for winning the hand and not the first one. Another very often present myth in poker chat rooms is that overaggressive players always win and if you are not very aggressive you will lose. This is just another myth and it has nothing in common with reality. 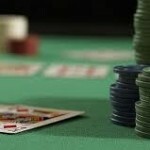 In fact, usually the overaggressive players lose a lot in their poker games. If you do not want to be one of them, you should read a few articles and book that will help you create yourself a winning strategy. If you will just be playing overaggressive nothing good can come from that. 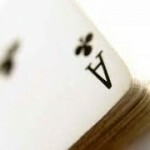 The most popular myth all over the poker forums is the online poker rigged games. There are thousands of people complaining about the hands they had and how the opponent got a lucky river and won the hand. In fact, you should know that you might have been in his situation for many times but you have not noticed. This is because we tend to forget about when we were lucky and remind ourselves only when we were unlucky. Another important thing you should know is that there are thousands of people making real money on these online poker platforms. If they were rigged, how can some people make a lot of money on them? Why is not the game rigged for them too? Besides this, the probability of a very lucky hand is way higher online than offline because there are more hands played every hour, day and month. This is why there are a lot of players complaining about what happened to them online. In conclusion, you should be able to make the difference between myths and realities when poker is concerned because otherwise you will not put on your best game anymore. If you will learn a little bit about the subject, chances are you will not have any problem in differentiating myths and realities in the poker world. If you thought that playing satellite games with progressive jackpot just wasn’t worth your time in the world of poker, it’s time for you to rethink that mentality. You see, satellite games can really be profitable if you know what you’re dong. The real secret? “Knowing what you’re doing” in satellite play is a lot different than what you might be used to in regular poker. It’s one thing to assume that you will be able to crush the competition in a regular heads up game, but satellite play is a little different. For one, the stakes are different. You’re not trying to get into first place. You’re just trying to beat a certain percentage, and the numbers need to work in your favor. For example, you might need to be in the top ten percent, which is different from saying the top 10. Knowing this difference will actually get you a lot farther than you might expect. From here, you will need to really think about whether or not you’re going to adjust your play. There are a lot of weak players that tend to flock to satellite tournaments, but that doesn’t mean that you throw strategy out the window and play based on your gut. You think about how to overcome the weaker players and shake them off as fast as possible. As the game progresses, you will want to slowly accumulate chips until you have a big stack. This will let you take bigger risks, and risks are really where the rewards are. Again, if you’re not someone that can take calculated risk, then satellite play probably won’t interest you as much as it would another player that can understand the difference between managed risk and unmanaged risk. Overall, you’ll find that satellite play does take some getting used to. If you make sure that you’re switching up your playing style as you go deeper into the game, there’s really no reason why you can’t do well in any satellite you play in — good luck! One of the most respected names in professional poker, Canadian ace Daniel Negreanu, has lambasted the actions of a group which had to terminate the contracts of Joe Sebok and Prahlad Friedman, thanks to controversy surrounding the website’s dealings. The story comes on the back of what American poker players have termed ‘Black Friday’. On April 15th 2011, the US Department of Justice unsealed an indictment against three of the largest American-based online poker companies. The effect of the ruling, which accused these companies of money laundering, meant that millions of American players found that they could no longer play the game online as the domain names were seized by the FBI. As a result, the companies named in the indictment have set up new sites with new domain names. Though at present, no new players from the US are being allowed to join and only one site is still offering games where money can be won and lost, though no deposits or withdrawals are allowed to be made to the site. Fortunately, here in the UK, gambling laws regarding Internet poker, casino games and betting in all its forms tend to be a lot more stringent. The top companies in the UK offer their customers wide scale measures to prevent against fraud, both against the individual customer and the company itself. Many of the top names in the industry, such as Ladbrokes, have built up a reputation over decades that ensures that such an occurrence as Black Friday, will not hit the UK poker market. The message is simple, poker players of all abilities and experience should remain vigilant about which sites they play on. Register with a reputable site to enjoy your game and you can be sure that your money, and your site, is completely safe and secure.